Congenital heart defect (CHD) is the most common form of birth deformity and is responsible for substantial morbidity and mortality in humans. Increasing evidence has convincingly demonstrated that genetic defects play a pivotal role in the pathogenesis of CHD. However, CHD is a genetically heterogeneous disorder and the genetic basis underpinning CHD in the vast majority of cases remains elusive. This study was sought to identify the pathogenic mutation in the ISL1 gene contributing to CHD. A cohort of 210 unrelated patients with CHD and a total of 256 unrelated healthy individuals used as controls were registered. The coding exons and splicing boundaries of ISL1 were sequenced in all study subjects. The functional effect of an identified ISL1 mutation was evaluated using a dual-luciferase reporter assay system. A novel heterozygous ISL1 mutation, c.409G > T or p.E137X, was identified in an index patient with congenital patent ductus arteriosus and ventricular septal defect. Analysis of the proband’s pedigree revealed that the mutation co-segregated with CHD, which was transmitted in the family in an autosomal dominant pattern with complete penetrance. The nonsense mutation was absent in 512 control chromosomes. Functional analysis unveiled that the mutant ISL1 protein failed to transactivate the promoter of MEF2C, alone or in synergy with TBX20. 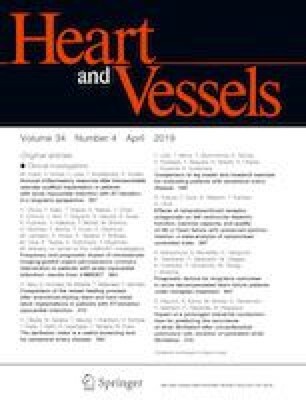 This study firstly implicates ISL1 loss-of-function mutation with CHD in humans, which provides novel insight into the molecular mechanism of CHD, implying potential implications for genetic counseling and individually tailored treatment of CHD patients. Lan Ma, Juan Wang and Li Li have contributed equally to the work. We are sincerely thankful to the study participants for their dedication to the investigation. This study was funded by the grants from the National Natural Science Foundation of China (81470372, 81400244, and 81370400), the Medicine Guided Program of Shanghai, China (17411971000), the Experimental Animal Program of Shanghai, China (17140902400), the Clinical Research Plan of SHDC, Shanghai, China (16CR3005A), the Project Foundation of Health and Family Planning Commission of Shanghai, China (M20170348), and the Fundamental Research Funds for the Central Universities. The authors declare that no conflict of interest exists. Informed consent was obtained from all individual participants included in the study or their legal guardians.